It’s important to take care of all Toronto brick porch repairs. Allow us to explain the telltale signs that indicate if necessary porch repairs are minor, moderate or major. 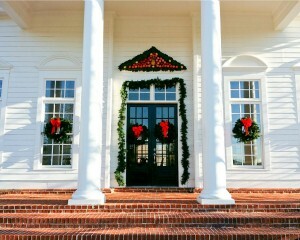 Your front porch sets the stage for your home, offering guests their first glimpse at what awaits behind closed doors. That being said, it’s important that your porch looks approachable and in good condition. Bricks are built to last but that doesn’t mean they last forever without proper care. 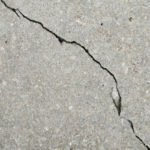 The severity of brick porch damage varies considerably, from a few cracks or stains to full-blown holes and missing bricks. As with any masonry damage, the sooner you take care of repairs the better. 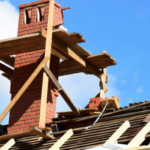 The bricks in question may be located on the floor, pillars, steps or walls of your porch, but no matter what they need repairs as soon as you notice the damage. Even the best-built brick porches require maintenance from time to time, such as cleaning for instance. If you notice a build up of mold, white efflorescence or other unsightly stains you should call in masonry professionals to clean it up. This ensures your bricks look like new again, but it also prevents minor eyesores from turning into larger issues that require costly repairs. 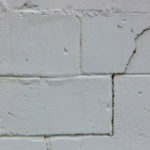 Another issue that may be more on the moderate side is if you notice the joints running between bricks breaking down, in which case repointing may be necessary. Repointing is the process of removing old, degraded mortar, cleaning out the cavity, and then refilling it with a properly matched mortar. As a result, bricks are given new longevity, returning to their original strength. 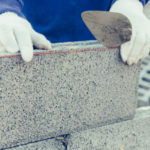 If repointing is not conducted on time the mortar damage will transfer into brick damage, hence why it’s important to take care of mortar repairs right away. You can’t use just any mortar for the task, instead it’s important to have properly matched mortar, in regards to strength, composition and color. To sum it up, minor to moderate damage includes stains and damaged mortar, but bricks still look good in terms of stability. If your porch appears to be falling off of your house, it’s clear that more severe repairs are necessary. Yet, even if only a few clusters of bricks are falling out of place or crumbling to the touch, more severe damage has had a chance to take place. Once mortar breaks down the bricks are forced to take on the brunt of damage, as a result more complex repairs are necessary to secure the porch. The foundation of your porch is very similar to the foundation beneath your actual home. If a foundation is unstable it will no longer adequately bear the weight it needs to, including the weight of columns, railings or a porch roof. As a result, everything begins to shift out of alignment, often looking about as unsafe as it truly is. 1. First and foremost, where do you live and what sort of water content does the surrounding soil have? If extremely moist soil is present the actual porch footing must be much deeper, as well as include thicker walls and/or reinforced concrete. If your home is located on clay soil it will not have a very high load bearing capacity. Also, if you live where frost heaves are common the footings need to be constructed underneath the frost line. 2. How heavy is your porch? The foundation must be built in order to support the weight, which varies considerably. Don’t forget about the weight of furniture and people too. If your deck is just strong enough to support its weight, too many people crowding the deck at once could easily result in the porch giving way. 3. What sort of slope is present where the porch is? Even if your porch is in a flat or almost flat area it still needs a strong foundation. Although, if there is a slant to the area this foundation must be even stronger and include columns made of reinforced concrete. If any of these 3 factors are disregarded in the building process, your porch is destined to experience failure sooner or later. There are solutions to help, although in extreme cases your porch may require a complete rebuild. Water is one of the largest contributors to brick damage, regardless if bricks are on your home, chimney, retaining wall or front porch steps. If too much water is running off around the porch this will eventually create a lot of problems in regards to stability. As a result, it’s important that all water is directed away from your home, the porch and the actual house foundation. This is done through proper drainage installation. For Toronto brick porch repairs, rebuilds, installations, maintenance and more, turn to Turnbull Masonry! Give us a call today for a competitive quote on your brick porch repairs.